About Robert P. Creed (Afterword) : Robert P. Creed is credited in . A published credit of Robert P. Creed is Beowulf. About Anonymous (Author, Translator) : This eBook is about its message, not its messenger, hence the use of Anonymous Author. About Burton Raffel (Introduction, Translator) : Burton Raffel is a published author, editor, and a translator of children's books. 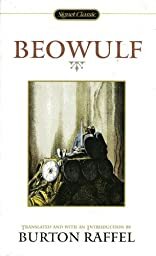 Some of the published credits of Burton Raffel include Beowulf (Signet Classics (Paperback)).